You stand here in the middle of the Independence Square (Onafhankelijkheidsplein) in Paramaribo on a late december night, just as the clocktower of the Ministry of Finance building strikes one o’ clock. The (almost full) moon partially lights up the sky from behind the clouds. It’s very quiet around the square apart from the sound of a cool breeze and a flock of birds hanging out at the Presidential Palace (zoom in to see the birds sitting on and around the balcony). Most of Paramaribo is sound asleep at this hour, getting some much needed rest in order to prepare for the next workday. Virtual Tour: This panorama is part of a virtual tour. Published on Monday, December 12th, 2011 at 2:02 am by Karel Donk under Panoramas, City of Paramaribo, Colonial Architecture, Independence Square, Ministry of Finance Building, Presidential Palace. Follow any responses to this entry through the RSS 2.0 feed. You can leave a response, or trackback from your own site. 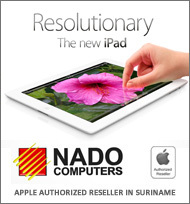 Largest job market website in Suriname. Try it today. It's free. Get panoramas or virtual tours of your own facilities on suriname360. Cick for more information. 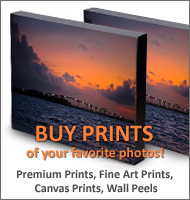 Buy premium quality prints of your favorite photos on suriname360! Cick for more information. 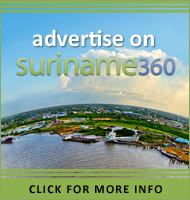 Want a panorama of your facilities on suriname360? Het is zo mooi dat ik er heimwee van krijg! Great job Karel, a true master. Also good to see the clock on the tower is in working order. Maar wacht even hoor, ben ik van slag of is het de klok …….. want de klok sloeg zeven, maar het wijst wel 1 uur aan! haha dat klopt Sonja, dat is wel precies zoals het was toen ik daar was en de foto maakte. ik heb geen idee als dit normaal is of niet. You did it again great master ! Gorgeous ! Schitterend! Het blijft een prachtig gebouw. Met Diwali was het ook zo mooi verlicht. Heel, heel hartelijk dank dat U deze omgeving zo prachtig voor ons hebt neergezet. extra gewaardeerd worden! U had een voorziene geest! You truly did a great job! Thanks, thanks, thanks. Don Dion has a wide selection of footwear from casual to fashionable for men and women! Copyright © 2019 Karel Donk. All rights reserved. None of the content on this website may be used or distributed in any way without prior permission. When in doubt please ask first. This website is best viewed using Microsoft Internet Explorer 9 or Mozilla Firefox 4 or later versions and requires the Adobe Flash plugin.